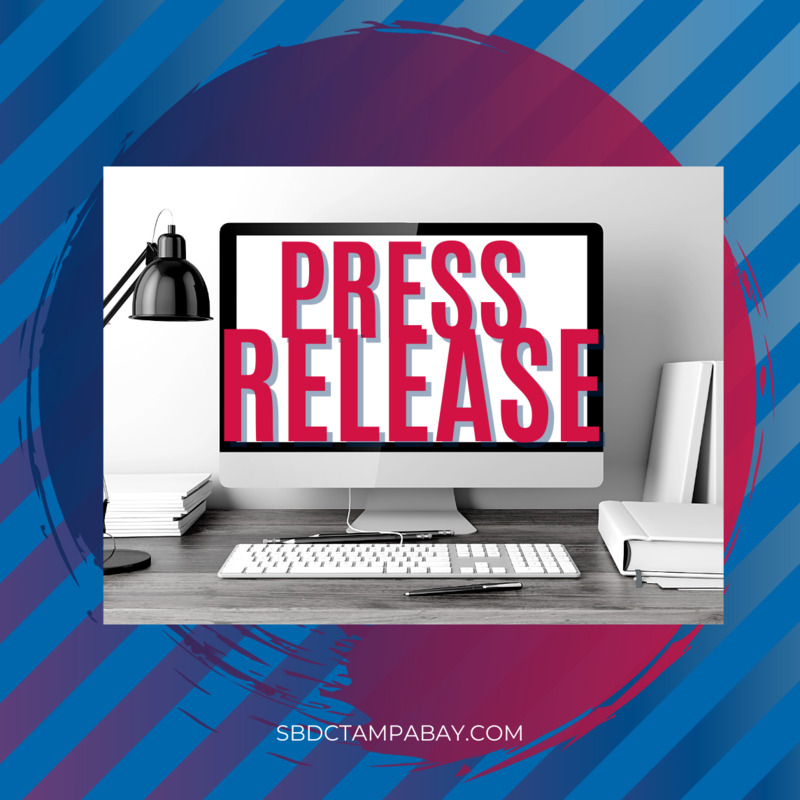 40% of all businesses that close following a disaster never re-open.When disaster strikes, businesses in the Tampa Bay region can find the education, training and assistance needed to survive through our Business Continuation Services. Our professionally certified business consultants provide consulting at no cost, and training events to help you minimize losses and increase survivability when affected by natural and man-made disasters. We can help business owners develop a plan tailored for your business, at no cost. For questions about the Emergency Bridge Loan Program, the U.S. SBA Physical and Economic Injury Loan Programs, and how the Florida SBDC Network can help, please contact the Florida SBDC Network at (850) 898-3489 or Disaster@FloridaSBDC.org. When activated by the Governor, the Florida Small Business Bridge Loan Program, administered by the Florida Department of Economic Opportunity in collaboration with Florida First Capital Finance Corporation (FFCFC) and the Florida SBDC Network, provides short-term, interest-free working capital loans intended to help impacted businesses “bridge the gap” between the time a major catastrophe hits and when a business has secured long-term recovery resources, such as insurance claims or federal assistance. Eligible businesses with two to 100 employees may apply for loans up to $50,000 for 90 or 180-day terms. Visit www.FloridaDisasterLoan.org for full details. Governor Rick Scott declared a state of emergency due to impacts of red tide in Alachua, Baker, Bay, Bradford, Calhoun, Citrus, Columbia, Dixie, Escambia, Franklin, Gadsden, Gilchrist, Gulf, Hamilton, Hernando, Hillsborough, Holmes, Jackson, Jefferson, Lafayette, Leon, Levy, Liberty, Madison, Manatee, Okaloosa, Pasco, Pinellas, Santa Rosa, Suwanee, Taylor, Union, Wakulla, Walton and Washington counties. Interest free loans (six month) of up to $50,000 are available to businesses in these counties that are affected. Contact the Florida SBDC at USF for assistance in applying or visit floridadisasterloan.org. Governor Rick Scott declared a state of emergency due to impacts of Hurricane Michael in Collier, Lee, Charlotte, Sarasota, Manatee, Hillsborough and Pinellas counties. Red tide is a naturally occurring algae that has been documented along Florida’s Gulf Coast since the 1840s and occurs nearly every year. Interest free loans (one year) of up to $50,000 are available to businesses in these counties that are affected. Find terms and application at https://www.sba.gov/funding-programs/disaster-assistance. Businesses and most private non-profit organizations located in a declared disaster area that incurred damage during a disaster may apply for a low-interest loan to help replace or restore damaged property if federal assistance is activated. SBA makes physical disaster loans of up to $2 million to qualified businesses and most private non-profit organizations. Visit www.SBA.gov for full details. Loans to businesses to repair or replace disaster-damaged property owned by the business, including real estate, inventories, supplies, machinery and equipment. Businesses of any size are eligible. Private, non-profit organizations such as charities, churches, private universities, etc., are also eligible. If federal assistance is activated and you are in a declared disaster area, have suffered substantial economic injury regardless of physical damage, and you are a small business, small agricultural cooperative, or private nonprofit organizations, you may qualify for an EIDL. EIDLs provide working capital to help businesses survive until normal operations resume after a disaster. SBA can provide up to a maximum of $2 million to help meet financial obligations and operating expenses. A business may qualify for both an EIDL and a physical disaster loan, not to exceed the maximum of $2 million. Visit www.SBA.gov for full details. Working capital loans to help small businesses, small agricultural cooperatives, small businesses engaged in aquaculture, and most private, non-profit organizations of all sizes meet their ordinary and necessary financial obligations that cannot be met as a direct result of the disaster. These loans are intended to assist through the disaster recovery period. The MACs are 38’ RVs outfitted as mobile Florida SBDC Network centers. As a principal responder in the state’s Emergency Support Function (ESF) 18 for Business & Industry, the MACs are deployed during a disaster to provide an on-the-scene workspace for our consultants to assist impacted businesses. When not in use during a time of emergency, the MACs provide services to businesses in rural areas of Florida. As part of its service offering, the Florida SBDC offers Bizaster, a free mobile disaster assistance app. Bizaster, available in both English and Spanish for Android and iOS, features risk assessments, customizable checklists, and other resources to help businesses prepare, respond, and recover from natural and man-made disasters. Bizaster can be downloaded from the App Store or via Google Play. View a short video about the app. View an informational webinar about the app. Hours: Monday – Friday, 9 a.m. to 6 p.m.
A taxpayer does not have to be located in a federally declared disaster area to be an “affected taxpayer.” Taxpayers are “affected” if records necessary to meet a filing or payment deadline postponed during the relief period are located in a covered disaster area. I own an interest in a partnership, or I am a shareholder in an S Corporation that is located in a federally declared disaster area. However, I do not live in the disaster area myself. I rely on information (Schedule K-1) from the partnership or S Corp to file my tax return. Do I qualify as an affected taxpayer for purposes of receiving filing and payment relief? Yes. If the affected partnership or S Corp cannot provide you the records necessary to file your return then you’re also an affected taxpayer. Your filing and payment deadlines are postponed until the end of the postponement period just like the affected partnership or S Corp.
What are the non-payment penalties for Emergency Bridge Loans? In the event of a disaster declaration, what FEMA assistance is available? 12% per annum on the unpaid balance for the first 180 days following expiration of the established term. 18% per annum on the unpaid balance thereafter. Default is subject to normal commercial collection process. What is the interest rate on SBA physical and economic injury loans? Is there SBA help with funding mitigation improvements? If your loan application is approved, you may be eligible for additional funds to cover the cost of improvements that will protect your property against future damage. Examples of improvements include retaining walls, seawalls, sump pumps, safe rooms, etc. Mitigation loan money would be in addition to the amount of the approved loan, but may not exceed 20 percent of total amount of physical damage to real property, including leasehold improvements, and personal property as verified by SBA to a maximum of $200,000 for home loans. It is not necessary for the description of improvements and cost estimates to be submitted with the application. SBA approval of the mitigating measures will be required before any loan increase. Can I use my SBA loan to relocate my business? You may use your SBA disaster loan to relocate. The amount of the relocation loan depends on whether you relocate voluntarily or involuntarily? If you are interested I relocation, an SBA representative can provide you with more details on your specific situation. Are there insurance requirements for SBA loans? To protect each borrower and the Agency, SBA may require you to obtain and maintain appropriate insurance. By law, borrowers whose damaged or collateral property is located in a special flood hazard area must purchase and maintain flood insurance. SBA requires that flood insurance coverage be the lesser of 1) the total of the disaster loan, 2) the insurable value of the property, or 3) the maximum insurance available. How do I contact the SBA if I have additional questions? Is there help available through the SBA for refinancing? SBA can refinance all or part of prior mortgages that are evidenced by a recorded lien, when the applicant (1) does not have credit available elsewhere, (2) has suffered substantial uncompensated disaster damage (40 percent or more of the value of the property or 50% or more of the value of the structure), and (3) intends to repair the damage. Businesses  Business owners may be eligible for the refinancing of existing mortgages or liens on real estate, machinery and equipment, up to the amount of the loan for the repair or replacement of real estate, machinery, and equipment. Homes  Homeowners may be eligible for the refinancing of existing liens or mortgages on homes, up to the amount of the loan for real estate repair or replacement. What restrictions are there on SBA loan eligibility? Uninsured Losses  Only uninsured or otherwise uncompensated disaster losses are eligible. Any insurance proceeds which are required to be applied against outstanding mortgages are not available to fund disaster repairs and do not reduce loan eligibility. However, any insurance proceeds voluntarily applied to any outstanding mortgages do reduce loan eligibility. Ineligible Property  Secondary homes, personal pleasure boats, airplanes, recreational vehicles and similar property are not eligible, unless used for business purposes. Property such as antiques and collections are eligible only to the extent of their functional value. Amounts for landscaping, swimming pools, etc., are limited. Noncompliance  Applicants who have not complied with the terms of previous SBA loans may not be eligible. This includes borrowers who did not maintain flood and/or hazard insurance on previous SBA loans.Note: Loan applicants should check with agencies / organizations administering any grant or other assistance program under this declaration to determine how an approval of SBA disaster loan might affect their eligibility. Is there a U.S. SBA Business Recovery Center in my area to assist me? Is Transitional Sheltering Assistance available? FEMA is making Transitional Sheltering Assistance (TSA) available to eligible survivors in the state of Florida, who are unable to return to their pre-disaster primary residence because their home is either uninhabitable or inaccessible. TSA provides disaster survivors with a short-term stay in a hotel or motel. Through direct payments to lodging providers, TSA is intended to reduce the number of disaster survivors in shelters by transitioning survivors into short-term accommodations. Eligible survivors can find the list of TSA-approved hotels on www.DisasterAssistance.gov, and click on the Transitional Sheltering Assistance (TSA) Program  Participating Hotel List link. If internet access is unavailable, the FEMA Helpline (1-800-621-3362) can assist with locating a participating property. Survivors should contact the hotel directly to secure a hotel room prior to traveling to the hotel. Rental Assistance. Assistance through FEMAs Individual and Households Program may be available to eligible applicants to secure temporary housing while repairs are being made to the pre-disaster primary residence, or while transitioning to permanent housing while applicant survivor is displaced from their primary residence. Can I get more time to file returns and pay taxes? Depending on the circumstances, the IRS may grant additional time to file returns and pay taxes. Is the Bridge Loan a paper check or an electronic funds transfer? Is the Bridge Loan made payable to the business or the owner? Since they are personally guaranteed, they are made payable in the owners name. Will my credit report be pulled when I apply for a loan? Do I have to repay the Bridge Loan in one lump sum, or can I make payments? Either one. The applicant can submit one payment for the whole amount or break it down into smaller payments. My business was failing before the hurricane. Can I use a Bridge or SBA loan to get out of the hole? No. Applicant must prove their business was solvent prior to the hurricane. Can I extend my Bridge Loan beyond 180 days? If the applicant cant pay the loan within the 180 days, they can continue with the loan. However, the zero interest period is only for the first 180 days. After that time, interest will start accumulating on the balance owed. This can become a financial problem if the applicant falls in this situation as the interest is comparable to those from credit cards.